We visited the area north of the Sea of Galilee today. Gentle rain was still falling when I first looked out at the Sea of Galilee this morning. By the time we reached Hazor the weather had cleared and we had a bright and sunny visit. A light rain fell at Dan, but at Caesarea Philippi there was a downpour like I have never seen during one of my tours. After lunch there was clearing and we returned to the site for a more complete visit. The right amount of rain is a wonderful blessing from the LORD. He promised His people that he would send the early rains and the late rain. The late rain comes about this time of year, and we are expecting more the next two days. The rain is a good thing to help correct a long-term drought that has afflicted Israel in recent years. Nowhere have we seen this more clearly than at the Sea of Galilee. Here is a photo I made yesterday at Nof Ginosaur in the Biblical Gennesaret (Matthew 14:34). I walked out to the end of the pier that has been built to allow boats to drop off passengers. And here is the same area in September, 2012. The Sea of Galilee at Nof Ginosar, September, 2012. Photo by Ferrell Jenkins. 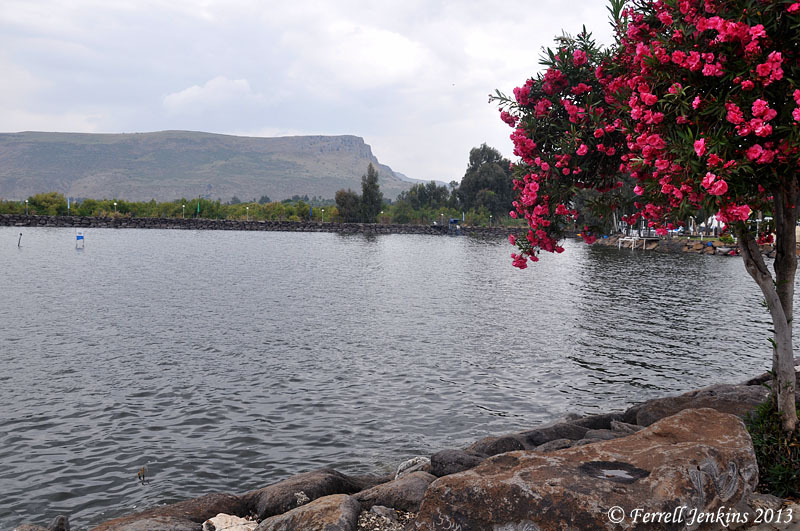 Kinneret Bot reports for April 18 that the Sea of Galilee is –209.94 meters below sea level. Americans typically translate that as –688.78 feet. A year ago the level was –693.44 feet (211.36 meters) bsl. 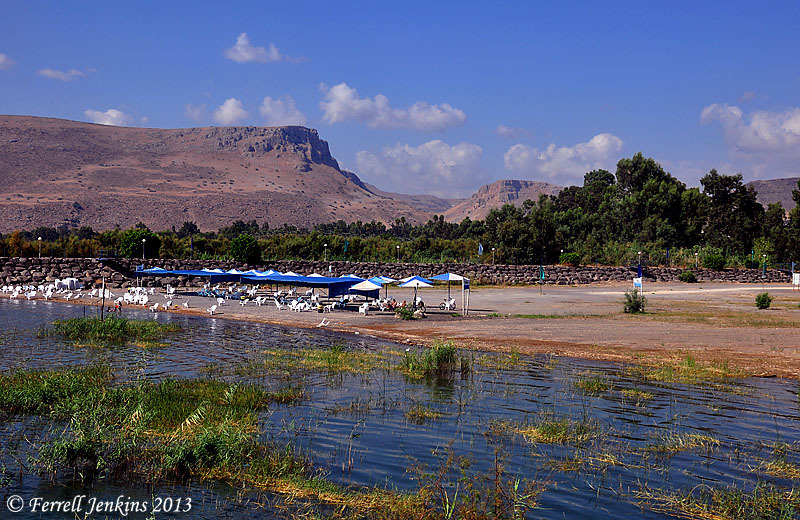 This entry was posted in Archaeology, Bible Places, Bible Study, Israel, New Testament, Old Testament, Photography, Travel and tagged rain, Sea of Galilee, weather. Bookmark the permalink. The Sea of Galilee is such a beautiful place!